Seton's Vinyl Number Labels are backed by our 100% Satisfaction Guarantee! Select from a wide variety of Vinyl Number Labels at competitive prices. Plus most of our top-quality Vinyl Number Labels are in stock and ready to ship today. 9 inventory control labels boldly display the number 9 helping to organize your inventory. ID number inventory control labels are pre-printed and help organize inventory in your facility. 5 inventory control labels boldly display the number 5 helping organize your facility. 7 inventory control labels boldly display the number 7 helping to organize inventory in your facility. Serial number status labels assign a number to equipment to make it easier for taking down inventory for all employees. 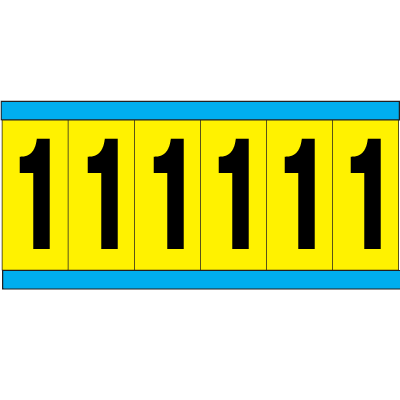 Stock number status labels organize by issuing stock numbers to equipment. Allows for easier maintenance on equipment.